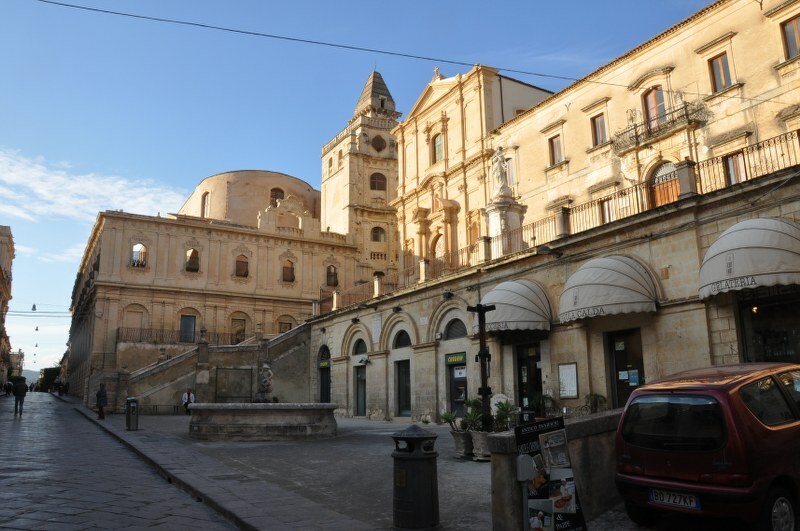 Noto is known as the “Baroque City”. It is another rock-top town but was flattened in an earthquake in 1693. 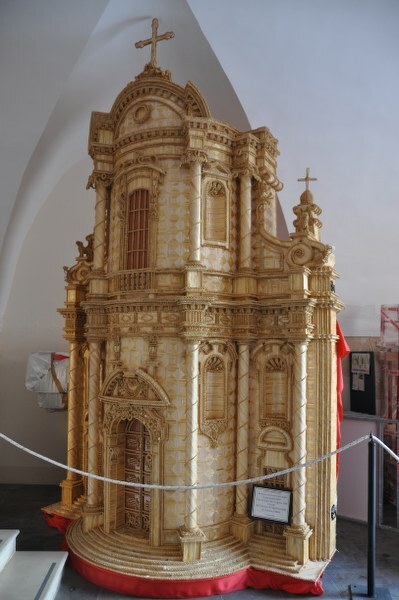 So they rebuilt it in the baroque style in a few years, finishing in about 1750. The result is a whole town in one style! 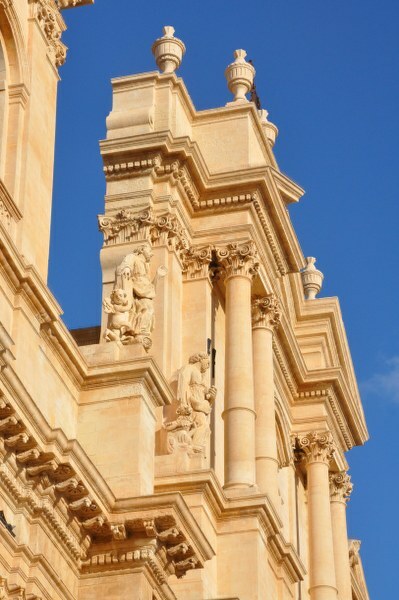 It sits about 17 miles South-West of Siracusa in the middle of nowhere in particular. We enjoyed an afternoon wandering around the town and seeing the ancient edifices – many of them alive and well! The town seemed to have more than it fair share of octogenarians who sit around taking the micky out of all and sundry but mostly each other. Many of the buildings are being refurbished on EU money and the glorious golden yellow makes them look as if they were built yesterday. This stone is the local sandstone and is very soft indeed – good for cleaning up but one has to wonder how they have lasted as long as they have. Street scene or "not sure what this is"
We came across a model of the cathedral made entirely out of straw, I think. 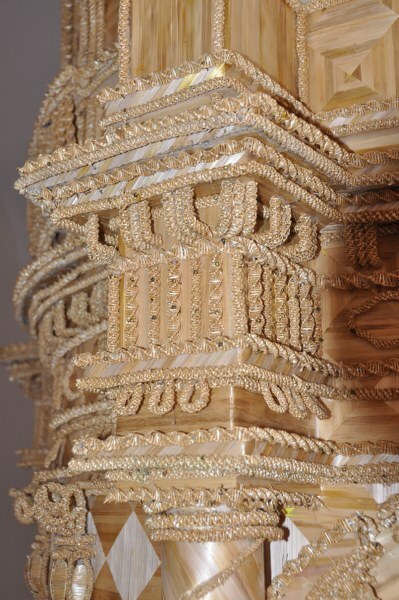 It had apparently been made to celebrate the local harvest festival.